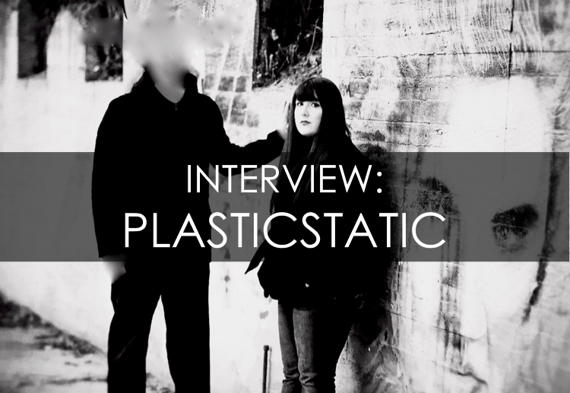 Your resource for all things shoegaze and dream pop: INTERVIEW: Plasticstatic. Plasticstatic is the Washington-based duo of Keisha and Ryan Winn. They're known for their trademark dark aesthetic and trippy sonic palette, both of which are fully represented on their newest full-length LP, Some Strange Alchemy (released August 21). Replete with dark meditations, altered perceptions and clever songwriting, Some Strange Alchemy is a sonic rabbit hole you want to tumble into. 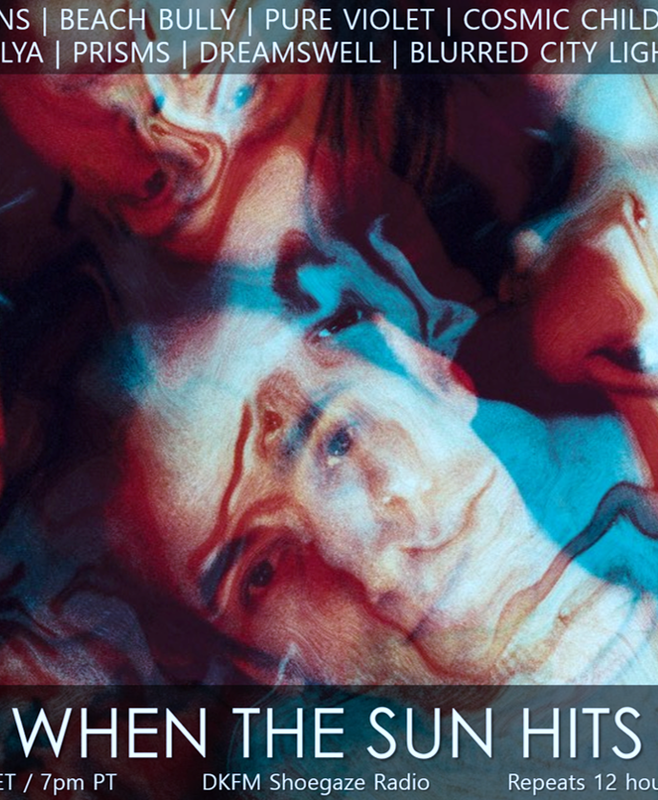 Their usual guitars, while still present on the album, have taken a backseat to more atmospheric electronic elements and enigmatic lyrical content. This progression of style suits them and their material well; Some Strange Alchemy is easily their strongest and most compelling offering to date. A companion album, Songs From Thee Black Lodge, is also available and just as captivating as the album proper. 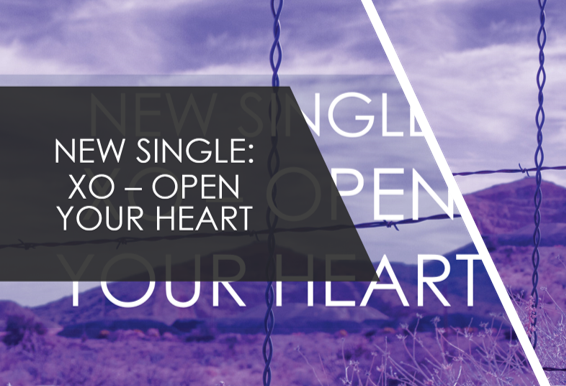 We highly recommend that you get lost in both releases. Enjoy learning more about these two talented artists. How and when was the band formed? Ryan: I started making music in the late 90s. In 1997, I named the band after the title of a poem I wrote. At that time, the music I made was just a backdrop for my writings and the occasional song. It became more song-oriented in the early 2000s. Keisha joined in 2012, and that’s when the band as it is now really started to exist. Can you tell us what the band has been working on and what you've got forthcoming in the near future (any new releases, tour, etc.)? Ryan: We just finished Some Strange Alchemy and its companion album Songs From Thee Static Lodge. I thought I would want a break after working on those albums for three years, but we have a few new songs recorded already. We’ll most likely do singles and EPs for a while after this, because we take way too long on albums — writing around a theme, and shelving a lot of music when it doesn’t fit the theme. Do you consider your music to be part of the current shoegaze/dream pop scene, or any scene? Defining one's sound by genre can be tiresome, but do you feel that the band identifies closely with any genre? How do you feel about genres in music, in a general sense? Ryan: I feel a loose connection to the current scene, because some of the early shoegaze bands that influenced the current bands have also had an influence on my music — especially the way we layer instruments and treat vocals. It’s the approach, more than the sound, that shows up in what I create. I try to make every album sound different from the last, so it’s hard to really belong to any particular genre when you do that. There’s nothing wrong with referencing the history of the kinds of music you make in your own music, but I really like it when bands add something to a genre that wasn’t there before. Keisha: I never really feel solidly part of any scene or genre with anything I do. I have always ended up being a sort of outsider because I tend to do my own thing and follow my own (often opposite) direction. What do you think of modern shoegaze/dream pop/psychedelia artists, any favorites? Ryan: I think my listening tends to be stuck in the past more than it should be, but a few of the modern bands in those areas I like are Golden Gardens, Omega Vague, Static Daydream, Vibrissae, Angel Falls, Her Vanished Grace, The Consolation Project, any project of Jake Reid’s, and Whimsical (plus anything else Krissy sings on). I’m sure I’m forgetting a lot of others. Keisha: I like whatever music grabs me. There is an overwhelming amount of great sounding bands around today, too many to name. What is the most important piece of gear for your sound? Any guitars/pedals/amps that you prefer? Ryan: The last album we made has a lot more synthesizer than our previous music. My favorite gear lately is an Arturia Microbrute running through a Moog MF-102 and the Mr. Black Supermoon pedal. They sound beautiful together. The other synthesizer we use a lot is a DSI Mopho SE, and we rarely feel the need to use effects with that. For guitar, I play a Fender Jaguar. Keisha: I have enjoyed using the Arturia Microbrute. You can really get lost in your own world playing that little monster. I am pretty pliant when it comes to playing music, I just see where it takes me. There is no structure for me, only what feels right, and perhaps it will sound aesthetically pleasing. That is how I have always approached it. This is just one place in life where I can run wild, and I feel like we all have something like that, and if we don’t then we really should. What is your process for recording your music? What gear and/or software do you use? What would you recommend for others? Ryan: Lately we’ve been coming up with ideas somewhat live in our home studio. We have everything running into a digital 8-track, and once the session is over I’ll import the tracks into Logic (we’re still using Logic 9) and flesh out arrangements and lyrics from there. I don’t have any recommendations for gear, but I think the most important thing is to have a space that nurtures creativity. A creative mind can make interesting sounds from anything, but first it has to feel inspired. When it comes to label releases versus DIY/Bandcamp and the like, what is your stance, if any? Ryan: We don’t really have a choice; we’re DIY because no labels have heard of us. We haven’t put any effort into changing that. Keisha and I both have day jobs, so it’s nice to be able to do music when we feel the need to create. It’s freeing to have complete control over our output and no mediator with our interactions with listeners. We love Bandcamp. I think the social aspect of it is underutilized. I’ve found some really good stuff looking through the collections people have shared there. Do you prefer vinyl, CD, cassette tape or mp3 format when listening to music? Do you have any strong feelings toward any of them? Ryan: I like all formats. I started to collect vinyl in the mid-90s and still prefer it, but I have way more CDs because they were easier to find before the vinyl boom, and much cheaper these days. The past several years I’ve been tracking down Coil releases I didn’t already have. A lot of that was never released on vinyl, so it rekindled my appreciation for CDs. I’m happier with physical releases no matter the format, because I enjoy the art and liner notes. My favorite musicians made albums that were creations of new worlds to me, and it’s more difficult to create that kind of atmosphere using only digital formats. I like what Bjork and Radiohead have done with apps, but smaller bands aren’t going to have the resources to do things on that scale. Keisha: Although I am a huge vinyl fan and perhaps somewhat addicted to owning as many important albums to me as possible on vinyl, I enjoy music on any format. I do listen to music the most on my iPhone with good bassy headphones. And cassettes hold a special place in my heart too, seeing as I was utilising and listening to most music on them well into the early 2000s. What artists (musicians or otherwise) have most influenced your work? Ryan: The Cure, My Bloody Valentine, Can, Coil, Psychic TV, David Bowie, Lilys, His Name Is Alive, The Brian Jonestown Massacre, Erik Satie, Love and Rockets, David Lynch, Luis Bunuel, Kenneth Anger, Curtis Harrington, Stanley Kubrick, J.K. Huysmans, Alfred Jarry, and Brion Gysin have had the biggest influence on my aesthetic. Keisha: The Cure have been my biggest artistic influence over all. Painters like Agnes Martin and Paul Klee (also his writings) were an influence on my mood and mindset when I first started recording music. Musical influences back then were mostly Brian Eno, Bowie, Nick Cave, Godspeed You! Black Emperor, Radiohead, Depeche Mode, Estonian composer Arvo Pärt, and most especially a band from Leeds, England called Hood. What is your philosophy (on life), if any, that you live by? Ryan: Focus on the things that bring you lasting happiness without hurting others in the process. Keisha: Hold on to your integrity. NEW VIDEO: Airiel | This Is Permanent. BANDCAMP TRACK OF THE DAY: Iris | What Kills You.